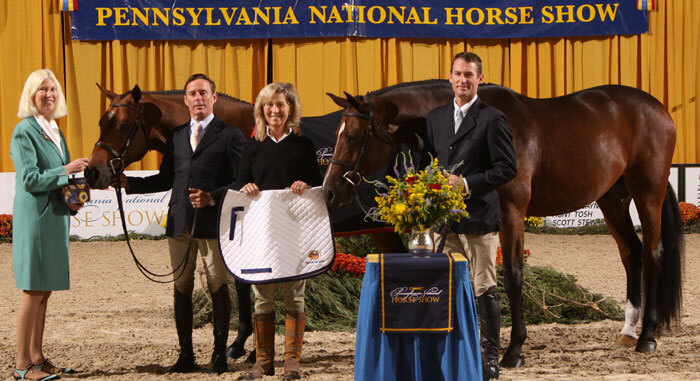 The Pennsylvania National Horse Show is pleased to welcome The EMO Agency as the Title Sponsor of the EMO Agency Terrace. For 2016, the EMO Agency Terrace will take on a new look - with new decor, enhanced menu options, on site bar and improved seating. 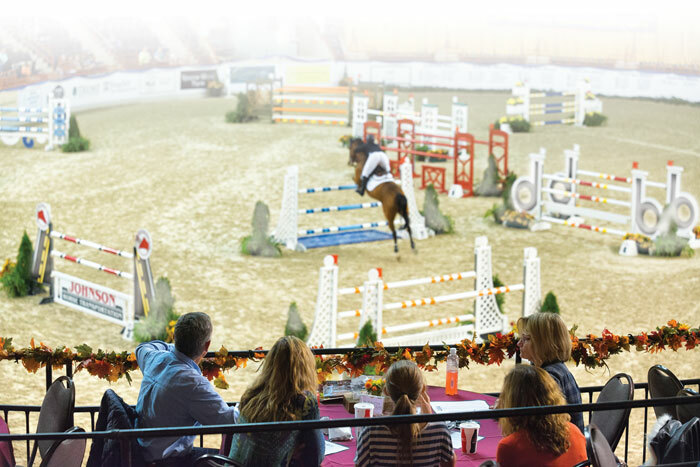 "The EMO Agency Terrace will create a whole new level of VIP seating and hospitality at this year's horse show," said Susie Webb Executive Director of the Pennsylvania National Horse Show. "Guests will be able to sit in an upscale yet comfortable setting overlooking the competition and enjoy everything from a light breakfast to an afternoon cocktail and hors d'oeuvres." 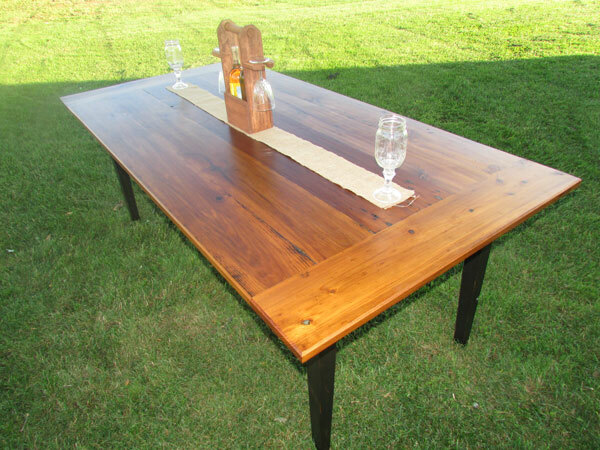 These beautiful, new farm tables will be available for purchase from Attic Treasures & Woodworking at the conclusion of the Show. "We are so happy to increase our sponsorship of the Pennsylvania National Horse Show to include the EMO Agency Terrace Tables. For the past two years we have presented the "EMO High Five Awards" to the highest scoring rounds in several categories, said E. Sue Bopp of the EMO Agency. Adding the Terrace Tables to allow spectators to watch these high scoring trips just seemed like a natural fit." Also new this year will be the ability to purchase individual tables for both the Medal and Grand Prix days. Table sales will be broken into four time slots allowing spectators to reserve seating for their specific preferences. Junior Weekend tables will be available Thursday, October 13 through Saturday, October 15 for $1200. Medal Sunday tables will be available for Sunday, October 16 for $400. Adult Week tables will be sold for Monday, October 17 through Friday, October 21 for $1200. Grand Prix Saturday tables will be available for the entire day Saturday October 22 for $500. Watch daytime competition AND the Grand Prix de Penn National Presented by The Lindsay Maxwell Charitable Fund PLUS the premier entertainment of the horse show - country music concert with rising star Ben Gallaher, Presented by L.B. Smith Ford. Tables may be reserved by calling Patty Wise at (717) 770-0222 or via email at Patty@Panational.org.